Better, but not the best... just yet. 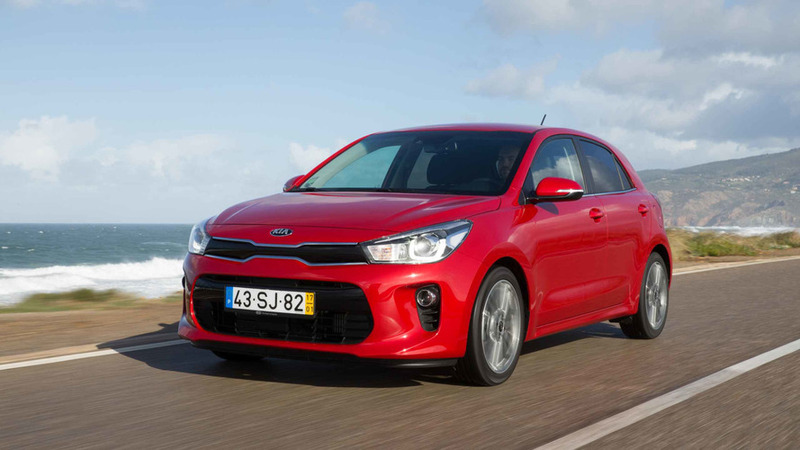 The Kia Rio has evolved into a highly competent small hatchback which provides a strong specification list and the manufacturer’s seven-year warranty across the board. The latest model, launched in 2017, ups the quality ante again, but, in some respects, it doesn’t feel like it has moved on a great deal from its predecessor and there are better alternatives in the so-called supermini class. However, those interested in the Kia will be pleased to know that there’s a choice of efficient petrol and diesel engines, configurable in an easy-to-understand trim hierarchy. 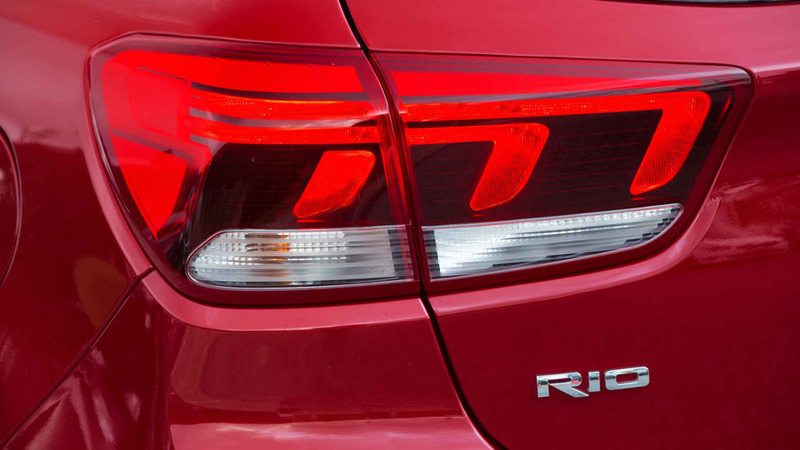 Most models have manual transmissions and all Rios are front-wheel-drive, five-door hatchbacks. Did you know? 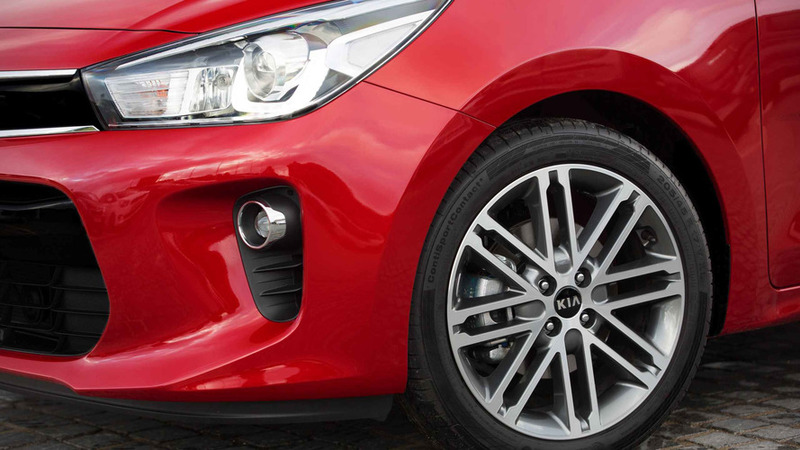 While Kia’s ‘tiger nose’ grille shape is present on the Rio, it’s actually solid plastic – the cooling ducts are in the lower bumper. There’s nothing ostensibly wrong with the Kia Rio Mk4, as it has neat styling, a spacious interior, lots of equipment, decent handling, and a ride that’s largely comfortable, save for odd occasions where it gets a bit lumpy. 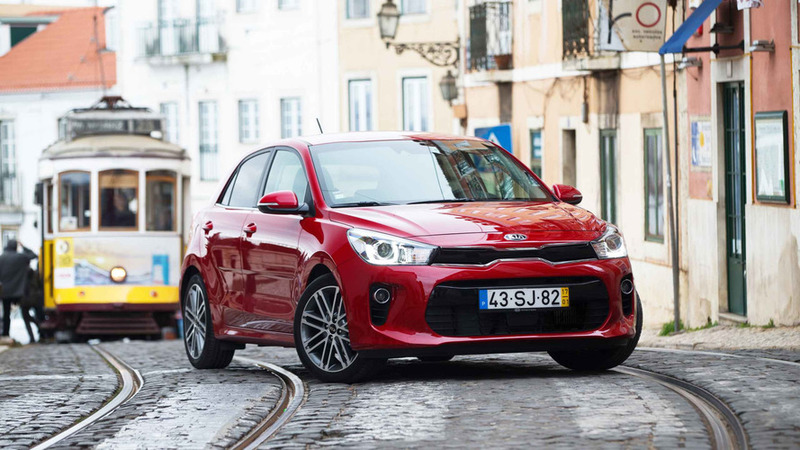 Factor in the 100,000-mile, seven-year warranty that makes each and every Kia such a tempting proposition, and competitive purchase prices lower down the range, and it looks like the new Rio is a winner. The problem is, as a brand, Kia has improved so much over the years that we really expected more from this car, a bigger leap in all-round sophistication from its predecessor. The new model is better, yes, but it’s by no means a class-leading supermini. Kia and Hyundai are sister companies. 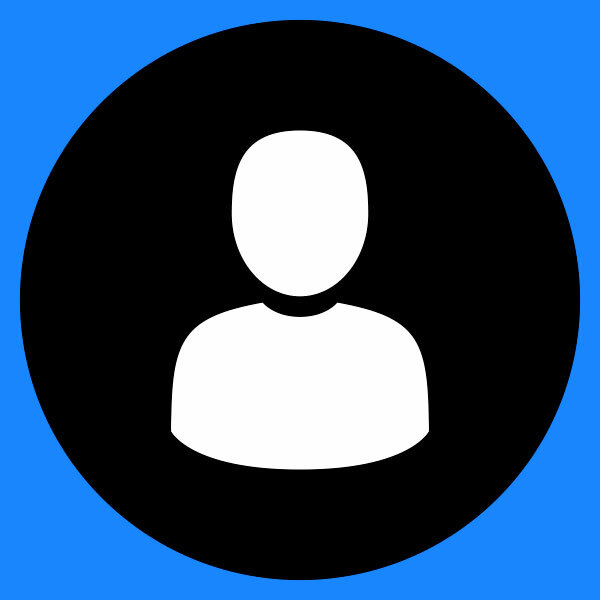 That means their products share a lot in their platforms, components and mechanicals. But, despite this, their designs are usually kept separate – the current Kia Sportage, for instance, doesn’t look much like the comparable Hyundai Tucson. All of which makes the styling of the Rio Mk4 a let-down, because it looks like a rebadged, mildly-modified Hyundai i20 – and, crucially, the i20 is the better-looking machine of the pair. Aside from its ‘fake’ tiger nose grille and the lack of a blacked-out C-pillar, to create a ‘floating roof’ effect, the Rio is largely the same shape as its cousin. It’s not an ugly car by any means, but its conservatism makes the Rio an instantly forgettable piece of automotive design. This is another area where the Rio falls into place behind the i20, as the Kia’s dashboard design is staid in the extreme. However, it's laid out in an orderly fashion and it looks much more up-to-date than the old Rio’s cabin. It’s all very solidly put together and there are some pleasing materials and fittings, such as the steering wheel, but there are also some scratchy plastics in places. It doesn’t feel as luxurious inside as a Volkswagen Polo or a Skoda Fabia, for instance. A good driving position is available because all models get a steering wheel adjustable for reach and rake, while the driver’s seat is height-adjustable as well. A nice touch is that all Rios feature electrically-adjustable (and heated) door mirrors, with every car from level ‘2’ upward enjoying mirrors that are power-folding and studded with LED direction indicators. 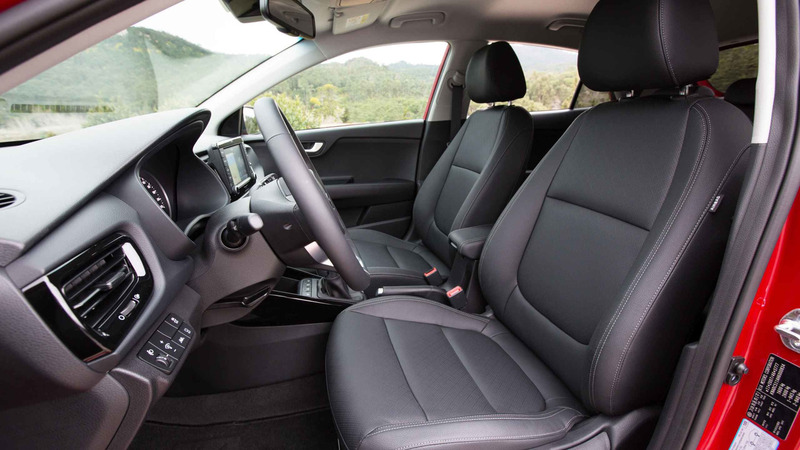 Overall space in the interior is very good and one of the Rio’s stronger points, as four adults should be able to fit inside with little difficulty. The boot is also one of the biggest in class, at 325 litres with the 60:40 split-folding rear seats up and 980 litres with them tucked away. Said seats also lie nice and flat when they’re stowed, which is handy and by no means usual. The Rio is not bad on this score, although the base model doesn’t come with DAB radio – almost a universal feature these days. It becomes standard-fit only on the ‘2’-grade cars. And Kia doesn’t do much in the way of options, like other brands, so if you want the extra toys you have to spend more on buying one of the higher-spec models, rather than adding choice bits and pieces to a lower-spec car. That foible aside, all models get Bluetooth, USB connectivity, a four-speaker audio system and a trip computer. The lowliest specification has a 3.8-inch black-and-white audio screen in the console and a 3.5-inch monochrome display in the instrument cluster. Step up a level and the former item moves up to five inches and becomes touchscreen, while the latter turns into a 'supervision' cluster with more functionality. The audio system is also boosted to six speakers. 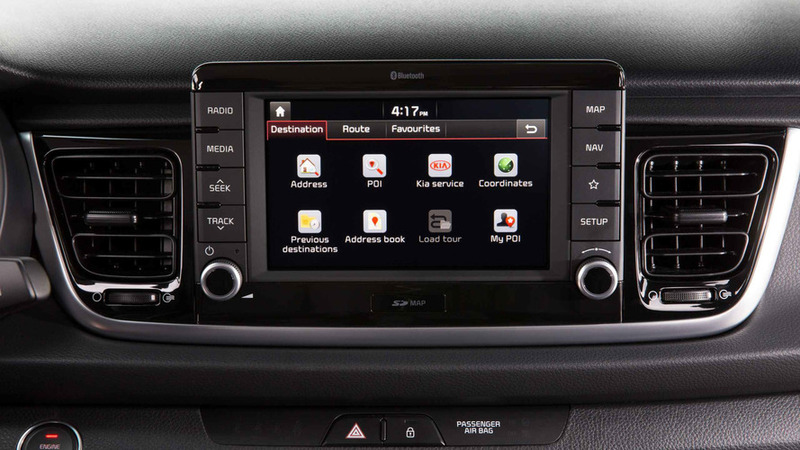 The top two grades are better equipped, though, with seven-inch touchscreen sat-nav, Apple CarPlay and Android Auto connectivity, and enhanced Bluetooth with voice control. There is however no high-power sound system as an option, on any Rio. Kia says it has tried to make the Rio more fun to drive than competitors. While there is something to show for the company's efforts, this Korean car is hardly the best thing in its class to steer. Dynamically, the Ford Fiesta is well ahead. There’s plenty of grip in the Rio and it turns crisply into a corner, but the numb steering lets it down badly. Conversely, the intended focus on dynamic reward means the Rio isn’t a particularly smooth-riding small car, either. 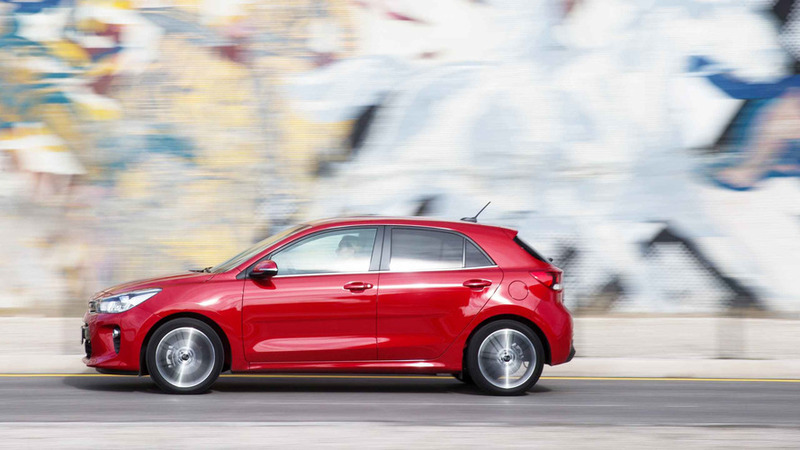 The firmness of its suspension comes into its own at higher speeds, but around town – where most Kia Rios may well spend their lives – it’s too noisy and firm. We’d therefore avoid the largest 17-inch alloy wheels. At least Kia has addressed the ageing engine line-up of the old Rio, although a couple of four-cylinder, normally-aspirated petrol units continue under the ‘MPi’ banner. There’s a 1.25-litre version with 84hp and 89lb ft, or a 1.4 with 99hp and 98lb ft. Avoid both, as they’re harsh and need to be worked hard to get the best from them. The 1.4 is, though, the only Rio that comes with an automatic option. However, it’s an elderly four-speed transmission so we suggest you steer clear unless you feel you have no other choice. Better engines are the 1.4-litre CRDi turbodiesel and the rather beguiling 1.0-litre T-GDi turbocharged three-cylinder petrol. Both units come in two power levels, the former with either 77 or 90hp, the latter with 100 or 120hp – but torque is unaffected by the power hikes, at 177lb ft and 126lb ft for the diesel and the petrol respectively. These engines are much punchier and pleasant to deal with, even if neither is an exemplar of its type. The diesel gets noisy if thrashed, and the three-cylinder petrol isn't as cultured as some rival units for all its fruity three-cylinder thrum. The 100hp T-GDi and the 1.25 MPi use five-speed manual gearboxes, while the rest of the engines all benefit from a six-speed transmission. Either of these is fine to use with easy, precise shifts, but the six-speeder has more closely-spaced ratios which give better acceleration through the gears. 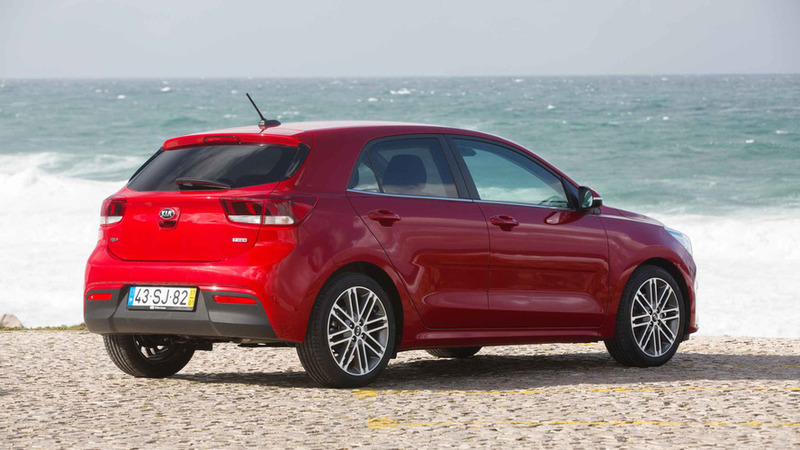 Although the Kia Rio Mk4 hasn’t yet been Euro NCAP tested, the old model bagged a five-star rating in 2011 and we have no reason to doubt the latest version will do the same. That’s because it has an impressive level of standard safety features, including six airbags, Hill-Start Assist Control, stability systems variously described as Straight-Line Stability, Electronic Stability Control and Vehicle Stability Management, and a tyre-pressure monitoring system. Fifty-one per cent of the body is made of 'advanced' high-strength steel, too. Move up to ‘2’ grade and Autonomous Emergency Braking, Lane Departure Warning System and a reversing camera with guidelines all get added to the roster. From a palette of seven colours overall, the standard hue is Sienna Brown solid, with another non-metallic shade, Clear White, an option. There are then five metallic finishes, which are Satin Silver, Graphite, Midnight Black, Smokey Blue and Blaze Red. Both the ‘1’ and First Edition grades can only be painted in five of these colours – the ‘1’ loses Satin Silver and Graphite, the First Edition Satin Silver and Smokey Blue. 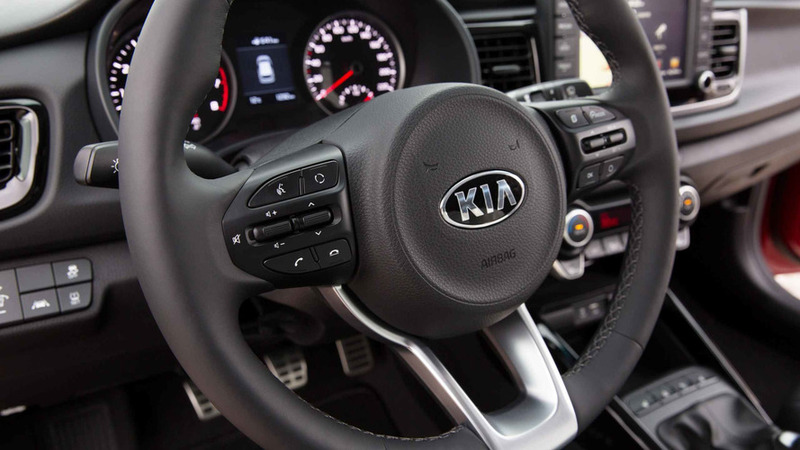 Kia makes this simple to understand – the grades run 1, 2, 3, and First Edition. Certain engines are only available at specific levels: so the ‘1’ comes with the 1.25 MPi and the 77hp CRDi; ‘2’ trim has the widest choice, with the 1.25 sitting alongside the 1.4 MPi (manual and automatic) and the 100hp T-GDi petrols, and the 1.4 CRDi (77hp) as well. At ‘3’ level, only the 100hp T-GDi and 1.4 CRDi can be specified, although the diesel is now the 90hp unit. And the 120hp T-GDi is reserved exclusively for the range-topping First Edition, where this turbocharged, three-cylinder unit is the only form of motive power available. The Rio ‘1’ models come with 15-inch steel wheels, air conditioning, a multi-function steering wheel, front electric windows, cloth seats and automatic lights. Moving to ‘2’ specification upgrades the wheels to alloys, although they’re the same diameter, but it also adds a leather-trimmed steering wheel and gear lever, electric windows all round, rear parking sensors, a rear USB port, plusher cloth trim, and cruise control with a speed limiter. It’s at ‘3’ level where the luxuries arrive. Expect black ‘Faux’ leather upholstery (not real, it seems) with heated front seats and a heated steering wheel, rain sensing wipers, and 16-inch alloy wheels. The First Edition is fully loaded, packing keyless entry and go, black and red Faux leather, LED rear lights, and 17-inch alloys. As a supermini, the Kia Rio is a small car. It should therefore be easy to drive around towns and cities, and compact enough to fit in the vast majority of domestic garages. Obviously, the diesels are the eco-champs, capable of 74mpg with 90hp and more than 80mpg as the 77hp unit. Both CRDi engines have emissions of less than 100g/km, which doesn't mean a lot under the 2017 VED laws, but it definitely helps with benefit-in-kind tax. The petrol options aren’t bad either, with all manual models capable of anything between 102 and 114g/km CO2. Best on-paper economy is provided by the T-GDi, which does nearly 63mpg with 100hp or a touch more than 60mpg in the 120hp First Edition; both three-cylinder powerplants emit less than 110g/km. The 1.25 MPi returns nearly 59mpg and the 1.4 MPi more than 56mpg, but both of them need revving mercilessly to keep up with traffic so they’ll be thirstier than you imagine. Final reason to avoid the 1.4 automatic: it has economy of 46.3mpg, which isn’t great, but the CO2 is rated at a relatively huge 140g/km – inflating road tax costs. The Kia Rio is very new so any reliability issues have yet to be shaken out, but the manufacturer has a good reputation for dependability and of course there’s that seven-year warranty to fall back on. Clarification, though: it’s only unlimited mileage for years one to three. From that point on, there’s a cap of 100,000 miles to the cover. 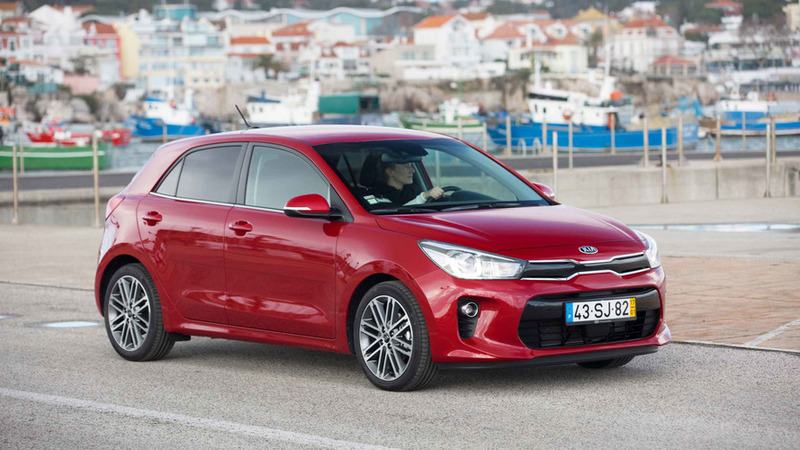 Servicing costs are reasonable and the diesel models are tempting, as they can go twice the distance of the petrol models without maintenance – although Kia says the Rio should be serviced every 12 months anyway, which rather negates the CRDi’s advantage. The company’s Care-3 service plan is available, which offers a few years’ worth of maintenance for a one-off, fixed-price fee. On the face of it, the Kia Rio’s starting price of less than £12,000 looks inviting – but that’s for the coarse 1.25-litre petrol engine in basic ‘1’ trim. Truthfully, you’re going to want at least a ‘2’ model, which means more like £14,000 – and the best engine, the 1.0-litre T-GDi, begins at more than £14,500. The ‘3’ and First Edition cars are undoubtedly well-equipped, but when they’re also in excess of £16,000 (petrol ‘3’) or £17,000 (diesel ‘3’, First Edition), the Rio suddenly becomes one of the priciest superminis on the market. Best choice is the 1.25 MPi in basic ‘1’ specification, as it costs less than £12,000 and isn’t powerful enough to overwhelm a new driver. The 1.4 CRDi in its lower output is the most efficient, and as that comes at ‘2’ level on 15s, CO2 is as low as 92g/km – the best for BIK. As it will likely be a limited-run specification, the bells-and-whistles Rio First Edition is the choice for the fashion-conscious. The Ford Fiesta continues to set the benchmark for dynamics in the supermini sector. Made more appealing to younger buyers in its third generation, the Jazz remains hugely practical, with a massive boot and clever rear seats. The car that shares so much with the Rio is arguably nicer in the looks department, better to sit in and more comfortable over bumps. Challenging the two Korean marques on the value-for-money stakes, the Baleno is well worth considering – especially as a 1.0 ‘Boosterjet’. No supermini is as cultured as the Polo. It isn’t cheap, well-specified or exciting to drive, yet it's curiously desirable on a feel-good level.